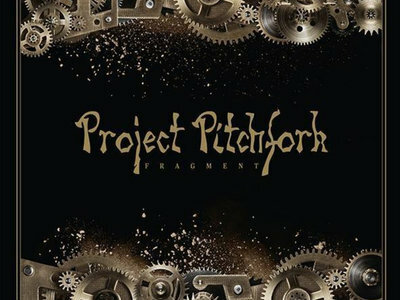 Peter Spilles – the mastermind behind Project Pitchfork – started a huge project that began with the last album “Akkretion”, themed around “genesis” and the birth of the stars and the planets. Now the time has come for the second installment in this trilogy, namely “Fragment” which is out on October 12 in Europe. The story continues in a few different formats: CD, limited 2CD and digitally. The limited variant is a luxury package (detailed on their webpage) with lots of cool stuff, while the CD and digital versions are more basic.